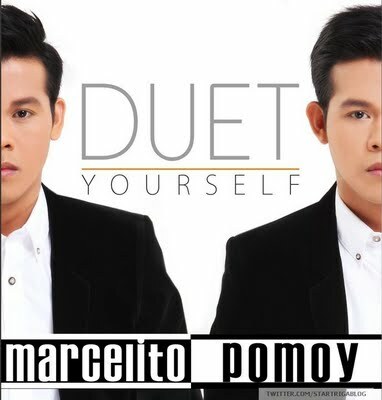 Pilipinas Got Talent (PGT) Season 2 Grand Winner Marcelito Pomoy finally released the most awaited album that has already announced after winning the PGT Season 2 grand championship. 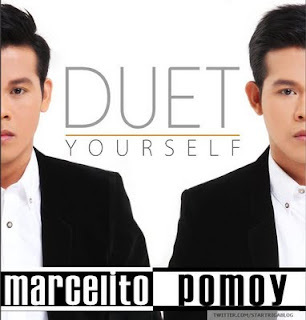 The album titled Duet Yourself finally release under the Star Record. The Album contains 13 tracks including minus one with its carrier single “Bakit Ngayon ka lang” – written by the award winning song writer Ogie Alcasid and originally popularized by Freestyle and Pos Fernandez. Also included in the album are, Pomoy’s wining piece “The Prayer”, his entry judging song “Hanggang Ngayon”, “Let the Love Begin”, and “Forever”. The PGT Season 2 grand winner “Duet Yourself” debut album is now available in your favorite record bars nationwide. how can i download this po? bkait di gumgna ung download pag pindot mo?? ?